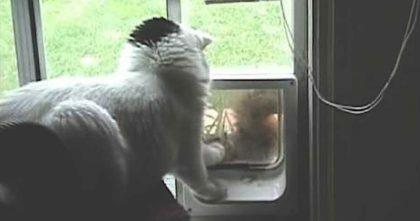 When Simon’s cat notices his human is doing some spring cleaning, the kitty cat tries to help out by making the dirtiest thing in the house sparkling clean…the little kitten! 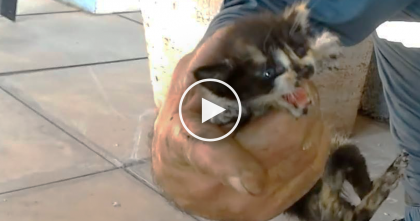 The tiny fluffball comes from outside as dirty as can be…covered in mud! So Simon’s cat does the responsible thing and tries to lick him clean. This just makes me crack up, LOL—SHARE the video with your friends! 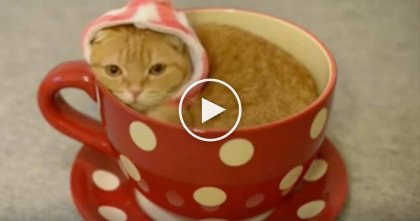 Cat Discovers His Favorite Place To Sleep, And It’s Probably The Cutest Thing You’ll See All Day! 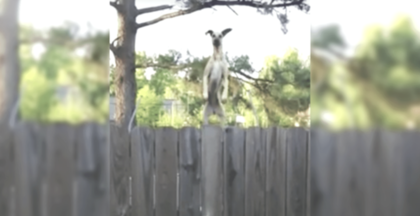 Man Hears Someone Jumping On Neighbors Trampoline, Then He Sees It Behind The Fence, LOL!! 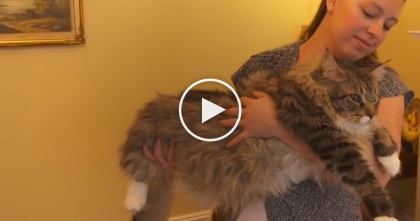 Massive “Harry Potter” Cat Gets Huge Recognition After Couple Measures His Length… WOW, This Is Crazy!